The Charges come into this game in not the best of spots coming off their MNF 3 point loss, but at least they have a game under their belt and know what to work on in practice – unlike Miami. The Dolphins haven’t practiced for 7 days and the starters haven’t played since August 24th in the third preseason game at Philadelphia. They are far away from any good rhythm going into the game at Los Angeles this Sunday. This especially counts for Jay Cutler who was signed through training camp. Cutler didn’t have an off-season and played in two preseason games. The Dolphins defense has too many holes. Linebackers Kiko Alonso and Lawrence Timmons can’t cover anybody – Antonio Gates and Hunter Henry should have themselves a day. Their cornerbacks won’t consistently get the better out of Keenan Allen, Travis Benjamin and Dontrelle Inman. Second-level tackling and closing space is also an issue for this Dolphins defense, so when Melvin Gordon breaks out, he is gonna get a few good gains. We can also compare this game to last year’s matchup when the Dolphins won 31-24 at San Diego. The Chargers were playing without Keenan Allen on offense, Jason Verrett on defense and were overall pretty much decimated. Ryan Tannehill played almost a perfect game, yet the Dolphins still needed 4 picks by Philip Rivers (one a pick-six) to win that game. Dolphins won the turnover battle 4-1. 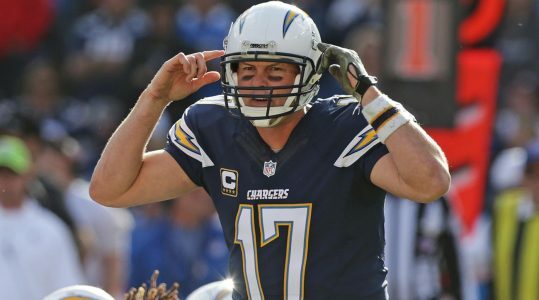 This time they will get a much more healthier Chargers team with a QB whose arm isn’t on a decline yet and the Dolphins themselves play with a much worse QB. The Dolphins offense has a bad matchup in this one. The only weakness the Chargers have is at LB which will make Jay Ayavi get some breakout runs and some screen opportunities. Because Jay Cutler can’t throw the ball deep accurately, their corners are likely going to play press coverage a lot, because they have the corners to match up with an overrated Dolphins receiving corps and to cause Cutler to make throws into tighter windows. This will also let the defense play more closely to the line of scrimmage to react proper to all the screens Adam Gase is likely to call. I don’t see how the Dolphins score many points in this one.